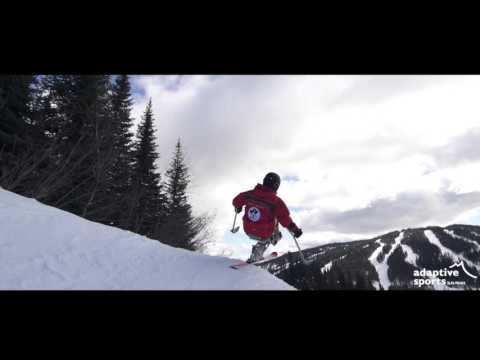 Adaptive Sports at SunPeaks is a non-profit organization located in British Columbia, Canada. We are a non-profit organization that strives to provide ski and snowboard opportunities to individuals with a range of cognitive and physical disabilities, using various types of adaptive equipment and techniques. Adaptive sports at Sun Peaks runs on the power of volunteers. With almost 50 volunteers, we are able to provide weekly lessons to students and offer opportunities to individuals that come to the resort from all over the province, country, and world. Many of our students return year after year. Volunteers receive ongoing training so they can provide the best support, instruction, and care to our students. Through fundraising we are able to ensure we have safe and effective equipment for our students and instructors. Fundraising allows us to grow our program year after year and be a successful organization in the community. Our goal is to make the mountain accessible to all!